Burgers, chili, dips, sandwiches; that's some classic tailgating fare. But what about trying something a little different? What about going the extra mile for your team and showing some pride with a gameday recipe inspired by your very own mascot? Check out these five easy recipes, and have your fans extra fired up and extra well-fed. 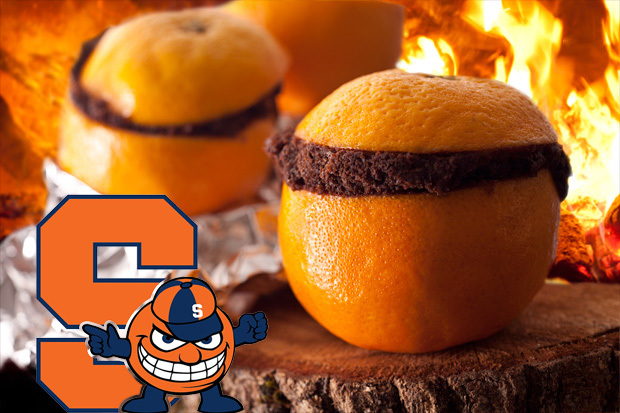 It gets cold up in Syracuse this time of year, so keep yourself warm with these hot little orbs of orangey goodness. A campfire classic, these are perfect for kids and can easily work on top of a grill (just make sure you wrap them fully in foil). This slideshow from Chow.com shows how easy it is to put together. 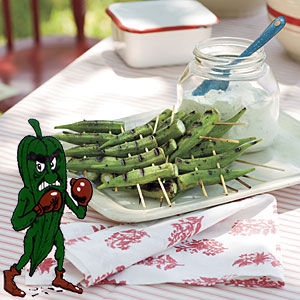 The fighting Okra is technically the unofficial mascot of Delta State over in Cleveland, Mississippi, but this recipe from MyRecipes.com was too good to ignore. Toss these on a BioLite Portable Grill and your tailgating spot is going to be flooded with folks in no time. 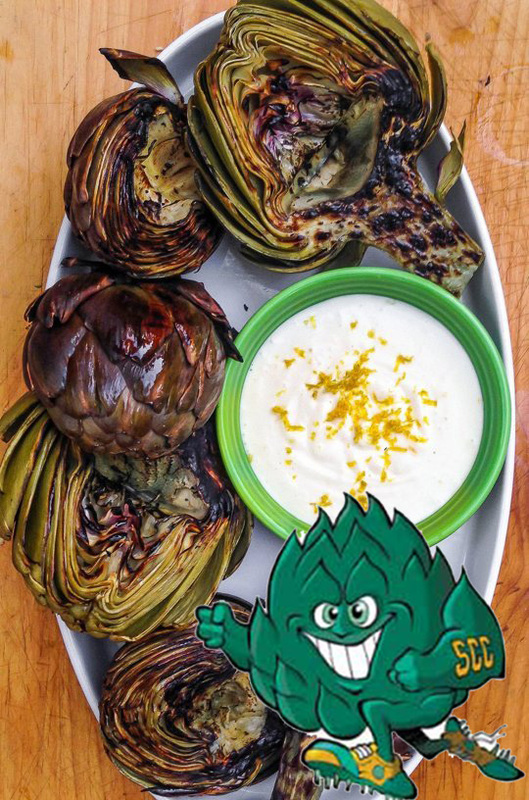 Artie the Artichoke was originally supposed to be a source of embarrassment, a mascot selected by the student body as a form of criticism against the athletic department back in the 1970s. 40 years later, Artie has become a beloved symbol of the school and was even the motivation behind changing the school's colors to green and gold. This grilled artichoke recipe from The Kitchn keeps things super simple with bright clean flavors that all come together over a nice hot grill. In case you're looking for something a bit more decadent, we also found this Artichoke Spinach Dip with Red Bell Pepper - free T-shirt to the first person who makes this in a BioLite KettlePot and sends a picture to us! Is it weird to eat your mascot? The jury is out over here at BioLite offices, so in the meantime, let's get some protein on this list. YoUDee is the official mascot of the University of Delaware and his roots trace back to the Revolutionary War. He is supposed to represent the fierce bravery of the school, especially on a game day. And what's more gameworthy than a Game Hen? We promise this Simply Recipe dish is way better than that pun. Game Hens not for you? 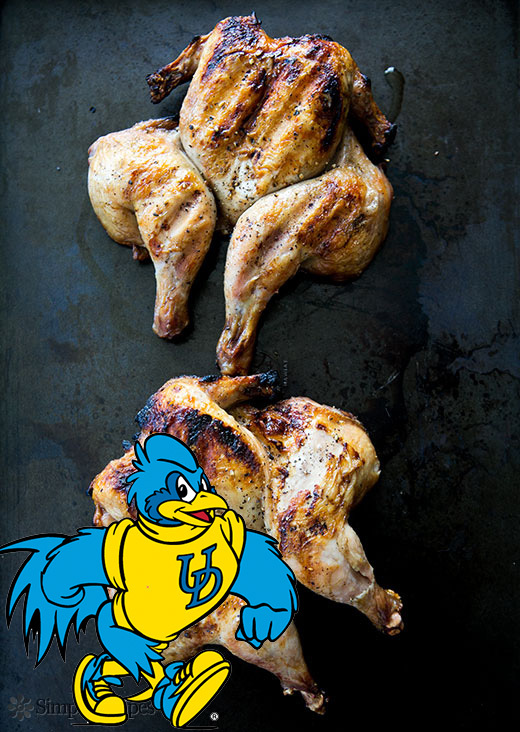 Check out this list of colleges and their bird mascots and see if you can find some poultry worth grilling. Another protein for the list! A local delicacy in Florida, these gator ribs are definitely worth trying. This daily meal recipe features a citrus glaze, featuring another favorite from Florida (oranges!). Gator hard to come by in your neck of the woods? You can order online from a variety of places, including Jungle Jims, an Ohio landmark that is worth an entire day trip.